The announcement was made by Pro-Chancellor and Chair of the University Board David Taylor as graduating students received their awards in front of proud parents during a ceremony at Preston Guild Hall. 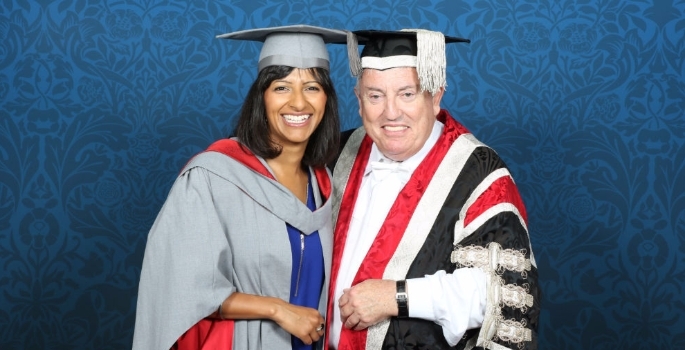 Ranvir, a former UCLan postgraduate journalism student and UCLan Honorary Fellow, was at the ceremony to offer her congratulations to this year’s graduating cohort. She will take up her new UCLan position officially in the autumn when current Chancellor Sir Richard Evans steps down after 15 years of dedicated and committed service.